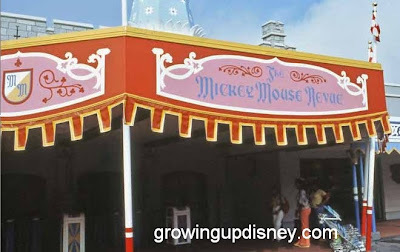 One of the original “E-Ticket” attractions at Walt Disney World was The Mickey Mouse Revue in Fantasy Land. It opened as one of the original park attractions on opening day in 1971. Since I “grew up” (I still don’t admit to being grown up. 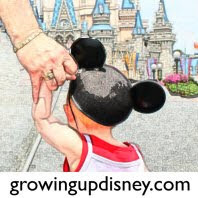 Like Jimmy Buffet sings: “I’m growing older but not up.”) with the Mickey Mouse Club on TV, Mickey has always been my favorite and The Mickey Mouse Revue put him in the spotlight. “As the show’s theater in the Magic Kingdom of Walt Disney World was being constructed, someone came up with the idea of having a pre-show. They designed an area just outside the main theater where guests could watch a film on Mickey while they were waiting to enter. Good idea, except there was a glitch. The theater seated 504 people, but the space available for the pre-show could only accommodate 300. Unfortunately, there was no time left to make further changes. The Mickey Mouse Review became the first Magic Kingdom attraction to be removed. 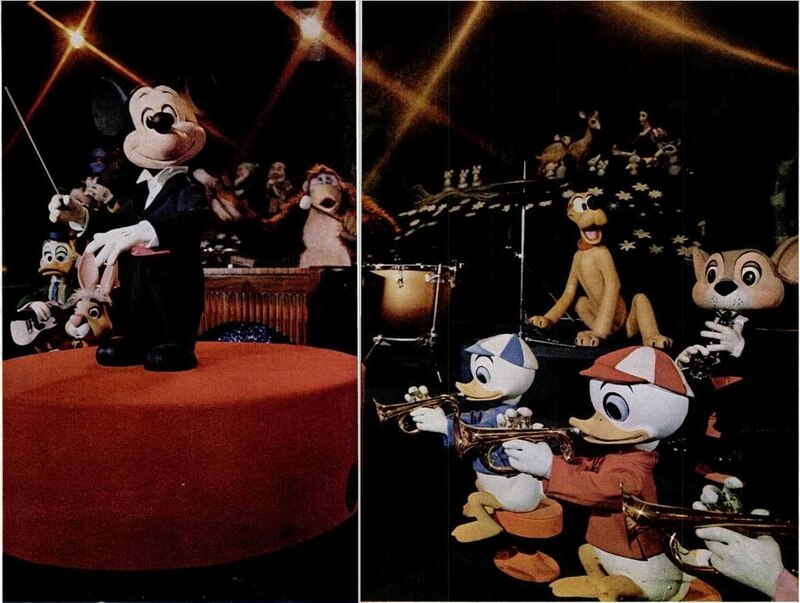 It showed continuously until September 1980 when the entire show was transferred to Tokyo Disneyland where it was an opening day attraction in 1983. It showed continuously at Tokyo Disneyland until it was closed in 2009 to be replaced by Mickey’s PhilharMagic. The Mickey Mouse Review was located in Fantasyland at WDW in the theater where you now find the 3-D attraction Mickey’s PhilharMagic. I enjoyed it. Hope you did too. 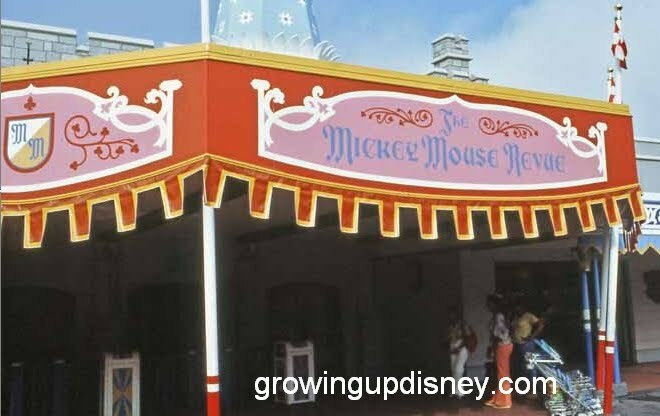 Do you have memories of The Mickey Mouse Revue? Share them with us using the link below. Something tells me I saw this in 1979, but I don't remember it. Boo! It sounds like a interesting attraction. The capacity problem is maddening! It really looks like it would have been a really neat show to see. It was long gone by the time I went for the first time. I think it was the "Legend of The Lion King" show when I first went. Everything changes…Fantasyland expansion…. Speaking of expansion. Does anyone know what is planned (and was obviously under wraps) at MK near ToonTown? From the train approaching from Big Thunder Mountain RR it looks to be a multi story building at the center.